Each year it seems like the summers go by faster and faster. Reality really set in this week as we flipped that calendar over to August and the days become filled with prepping for school to start in a couple weeks, sports practices kicking off and the busyness that comes with Fall. Here in the Chamber world, school starting means we kick off our Annual New Teacher Tour. This is honestly one of my favorite events that we do. As many of you know that before I came to the Neosho Area Chamber of Commerce, I worked for the Joplin School District in the Communications & Community Development Department. The years I spent really getting to see the passion that so many educators in our area have for teaching was truly revealed to me during that time. I had the priveledge of working on the front lines as a District rebuilt after a horrible tornado, I watched teachers be the safe place for students who came to school as refuge from a harsh reality of their every day life, I had a team around me that worked harder than I could have imagined on things that I had no idea even happened in a school district, and I really, for the first time, saw the neccessary bond between a school district and a community. These years of my life gave me a greater appreciation, and deep respect for those educators who are more than just teaching students how to read and do math problems. Four years ago when I joined Lauri here at the Chamber and we were talking about all of the programs in place and events that we facilitate, we began talking about the Annual New Teacher Tour. I instantly fell in love with the concept of embracing these teachers who are investing in our students in Neosho. What a great idea!! This year will be the 51st annual event... what an impactful program! 51 years of Neosho history being taught to those who in turn share it with classrooms of students. 51 years of Chamber Members partnering with our area school districts and showing that when it takes a village for them to be successful, there are resources all around them. This year, Dr. Roy Shaver will join us as one of our tour guides. Dr. Shaver was instrumental in coming up with this idea for our new teachers 51 years ago. 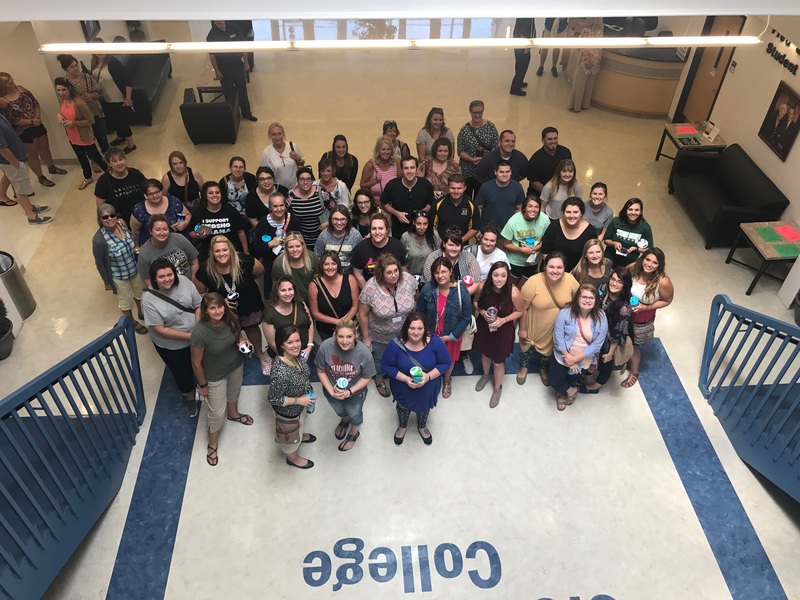 He, no doubt, has a wealth of information and knowledge that we are excited to let him share with these teachers that may just be starting their teaching journey. I just wanted to take a moment and remind each of you that legacies are built every day. Do not be afraid of new beginnings or of traditions, they are what shape our future and become the legacies that we leave. Thank you to all those who have partnered over the past 51 years for the New Teacher Tour in Neosho. Whether you have sponsored, donated, spoke, attended, helped organize or promoted... you are part of the tradition.